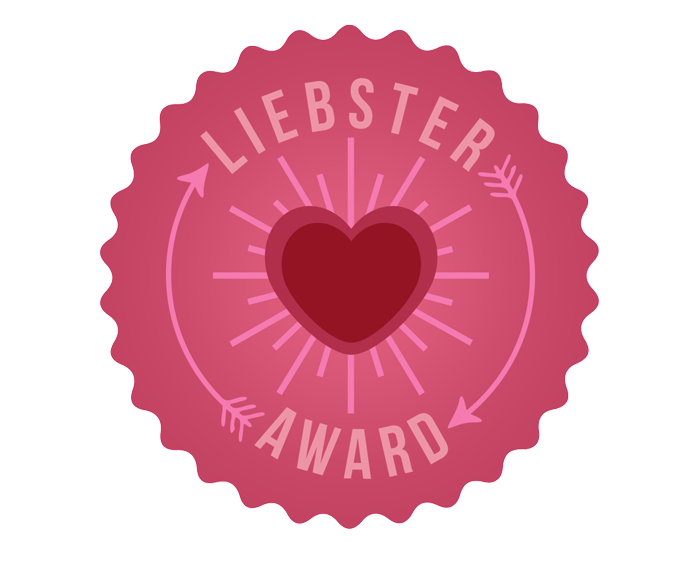 I'm happy and honored to have been nominated by Veganjavel for the Liebster Award. This is what she writes about the award. "This award is meant to encourage new bloggers, create connections between bloggers and help people discover new blogs, and what could be greater than that! It’s one of the things I like with blogging – except the obvious, reading and writing – you can find and connect with like-minded people from all over the world." How nice to have been nominated even if my blog has not been updated so much lately (it was considerably easier to have time for blogging while I was a student). My blog has also been around already for about three years so maybe not so new. If she wouldn't have nominated me though, I wouldn't have found her blog (a new favorite of mine). Ask the 11 bloggers 11 questions, and let them know you nominated them! I started this blog when I got accepted into the "Environmental management and economics" master program in Swedish Agricultural University. I wanted to write about my studies and about green stuff that I felt was important. In the end the blog has been a great companion during the way, by now I have already graduated and moved back to Finland but I hope to keep posting at least every now and then on the blog. The problem for me is to find time between work, gardening, yoga, friends etc. I realize that we lived in a little bubble in Sweden, where I mostly concentrated on studying and stuff that interested me and our social life was kept to a minimum. 2. What inspires you in your life? People that do things differently. At the moment I am also addicted to Pinterest which is a source of endless inspiration on whatever topic you like. 3. How do you spend a normal day? Oh God, my life sounds so boring! 4. Who is your favorite person? 5. Is there an animal that has a special place in your life? Who is he/she? 6. What is your favorite fruit? Hmm, difficult one, perhaps banana? Right now I'm more into citrus fruits though. I'm not sure there is a paid job on the current job market that would be my dream job. I wish I could do something different everyday, continuously learn new stuff, having good conversations with people but also be able to work alone when I feel like. I don't care working hard if I feel that what I do makes sense and is meaningful.....something like that? I'm quite content of where we live right now. Sometimes I wish that the landscape was different though. 10. If you won one million, what would you use it for? I would probably put a sum into renovating our house (this we will do soon anyway, without the free million or not) and buy solarpanels or other reusable energy source, I would buy a more ecofriendly car, I would invest part of the money into eco/sustainable businesses as well as my husbands company, probably somehow help my friend who is sick, depending on what's left I'd save it or give some to charity....now when I think of it, perhaps I'd start my own company too. 11. If you knew you only have a few days left of your life, how would you spend them? A party would be nice, with all the people I like most. Now about the nominations, I'm afraid I don't follow many blogs at all at the moment, I would like to but there is too many good blogs and too little time. Anyhow, I liked all the blogs Veganjavel nominated (listed below), Organized Chaos (number 6) is also one of my favorites and another Swedish-speaking Finn I follow is Bohemian Maggie (she's travelling in Asia at the moment so not sure if she will blog for some time). So this is Veganjavel's nominations ( I took away number 5 as it was my own blog and listed Bohemian Maggie instead), I will be as lame as to say that I support Veganjavel 's nominations and I'm sorry not to nominate anyone further. Please visit the blogs below though, I think you will like them, and please, give me tips about small cool green blogs.